Hannah Murfet is a volunteer for the Chartered Quality Institute, as a Founder and Vice Chair of the CQI Next Generation Network, a group aiming to inspire and support young quality professionals. Through this she has published a number of articles and enjoys sharing best practices from the medical device sector with professionals from other industries. In addition, Hannah is currently finalising an MSc in Medical Technology Regulatory Affairs. 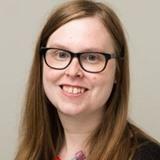 Her MSc thesis is on the subject of cybersecurity risk management practices at Cranfield University, supervised by Dr Phil Warner. This forms the subject of both her workshop and presentation at this conference, where Hannah will share her research and the insights gained from the industry professionals that took part. As a senior quality and regulatory professional, Hannah has gained experience in developing and implementing quality systems and regulatory strategies. Hannah has worked across a number of small and start-up medical device organisations, primarily focussed on In Vitro Diagnostic (IVD) and software devices. Hannah is currently Quality Assurance Manager at Team Consulting Limited, a design and development consultancy focussed on medical technology. At Team Consulting, Hannah has collaborated with a number of stakeholders across the business to develop compliance to IEC 62304, UL 2900 and general software best practices. Hannah’s main achievements include a number of direct interactions with the medical regulators including FDA presubmissions and MHRA scientific advice meetings. In addition Hannah has completed clearance activities, including for software medical devices, in Canada and developing markets such as India. Hannah has a passion for writing, and one of her personal achievements is achieving a publication in a clinical journal. When she has some spare time, she enjoys relaxing with her family and pet rabbit. Check out the incredible speaker line-up to see who will be joining Hannah.